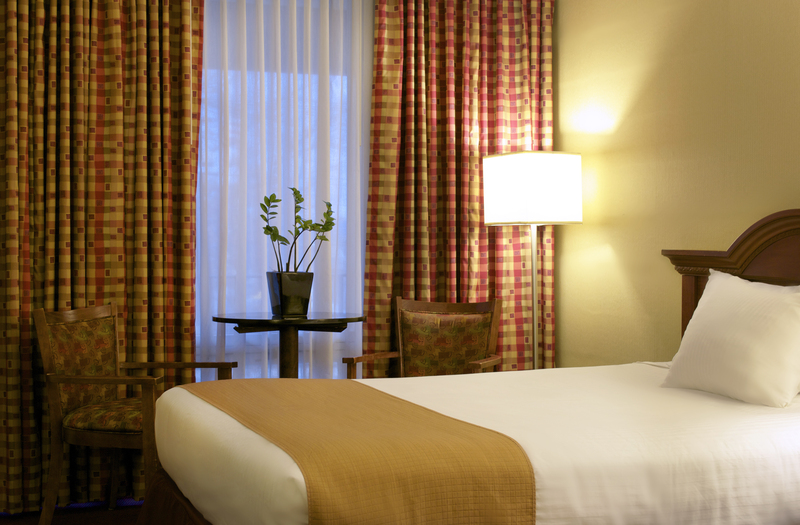 Our King guest room boasts comfortable accommodations for up to two guests. 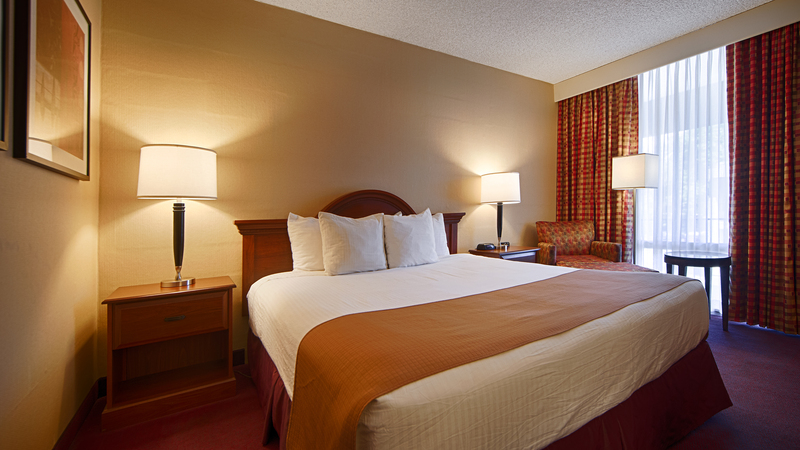 Lounge out on our sumptuous beds while flipping through channels on our state-of-the-art televisions with Direct TV and HBO; make free local calls; brew a fresh cup of coffee and enjoy complimentary Wi-Fi. And as with all of our rooms, enjoy a full hot breakfast - complimentary! Stylish and comfortable furnishings and decor make this room a must-stay for both business and leisure travellers. Enjoy a good night's sleep and wake up with a fresh cup of coffee, brewed with the in-room coffee maker, before making your way to the West Gate Restaurant and Lounge for a full, complimentary breakfast. With comfortable accommodations for up to four guests, our Two Doubles guest room offers cozy furnishings and a stylish interior. With amenities like free Wi-Fi, free local calls, and Direct TV, this room is well situated for both business and leisure travelers. 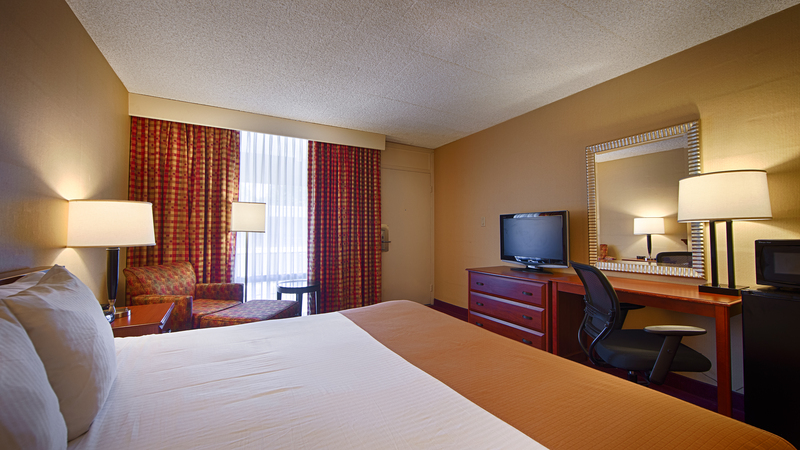 State-of-the-art Flat Screen Televisions, Brew a fresh cup of coffee and enjoy a full hot breakfast - complimentary!